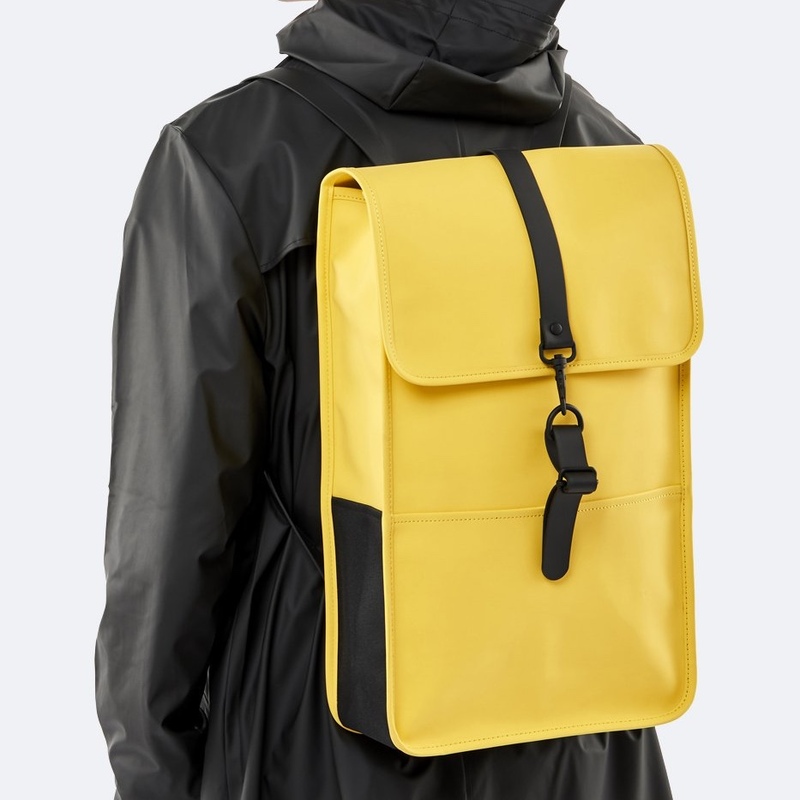 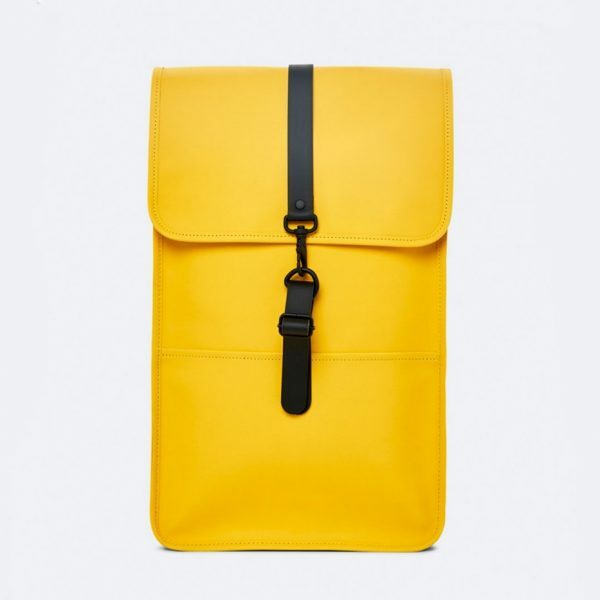 Durable waterproof backpack designed in Denmark by Rains. 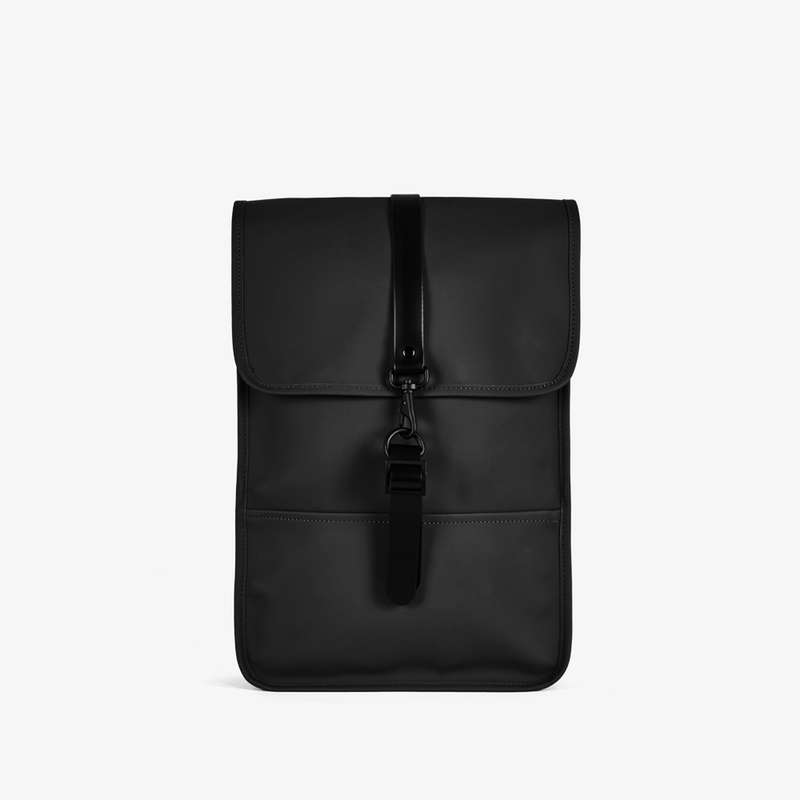 This minimalistic, yet practical backpack is functional, fashionable and water-resistant, making it ideal for daily use. 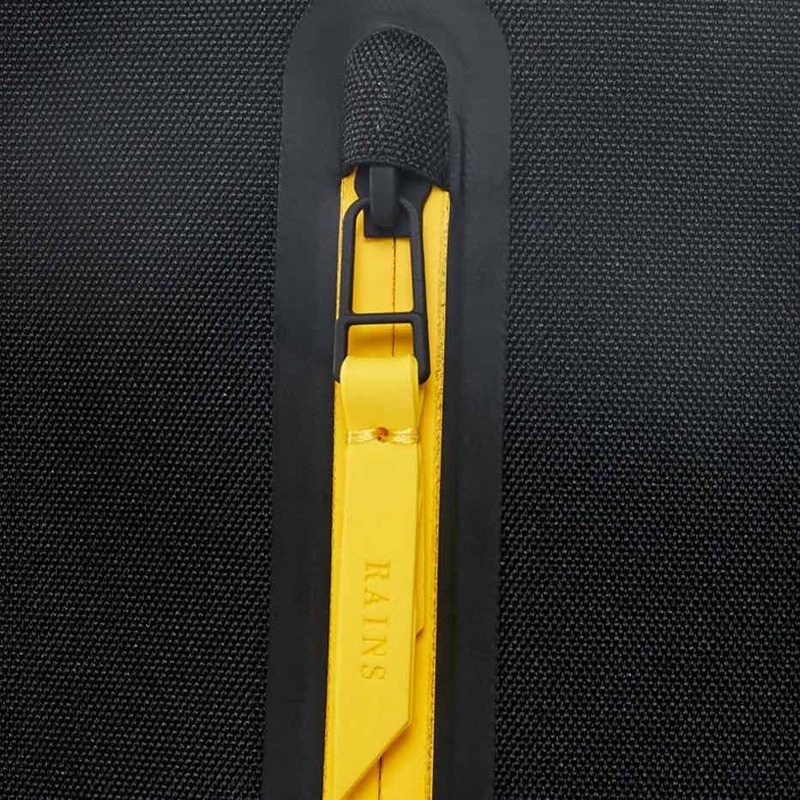 It has a main compartment which is easily opened and closed with magnetic closings, carabiner details and one hook function, an additional compartment which is perfect for keeping your computer or documents dry on a rainy day and one more hidden small pocket for your wallet. 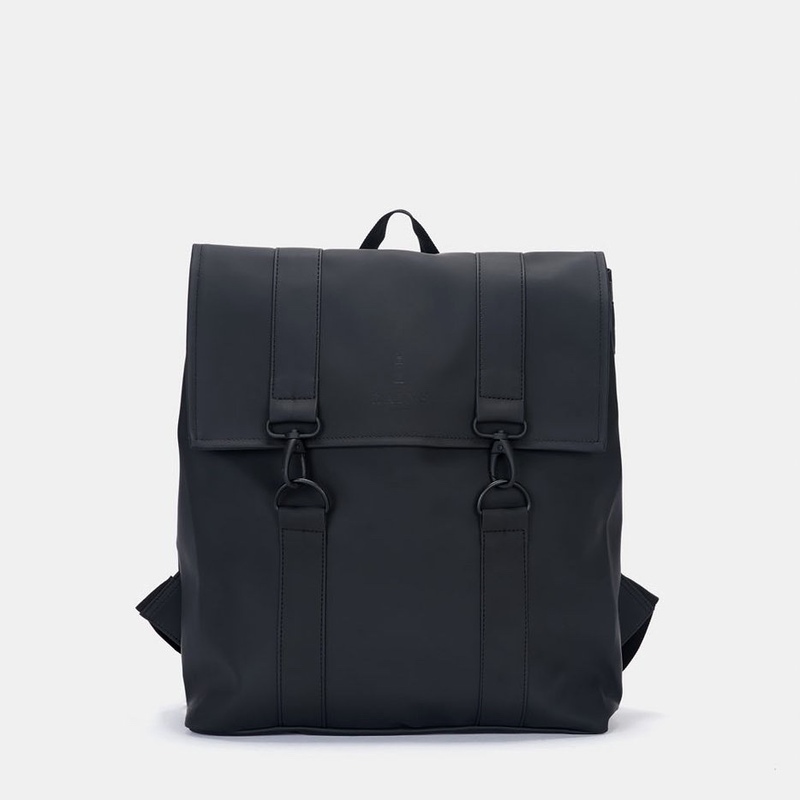 It also has two adjustable shoulder straps and a padded back. A hidden phone pocket on the side of the bag allows for quick access on the move. 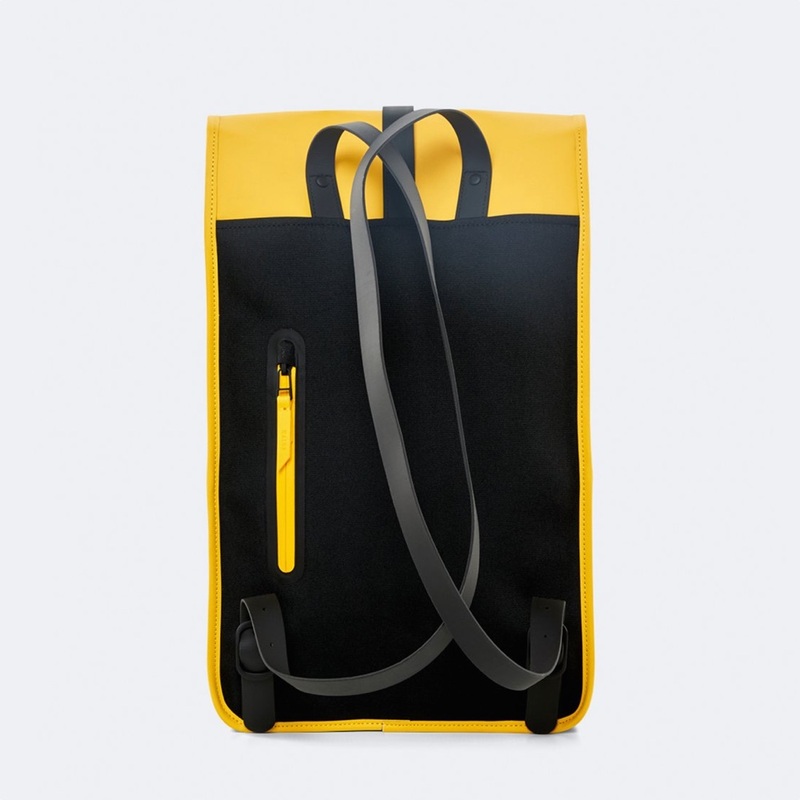 Made from an extremely strong and light polyester fabric with an added polyurethane coating for durability. 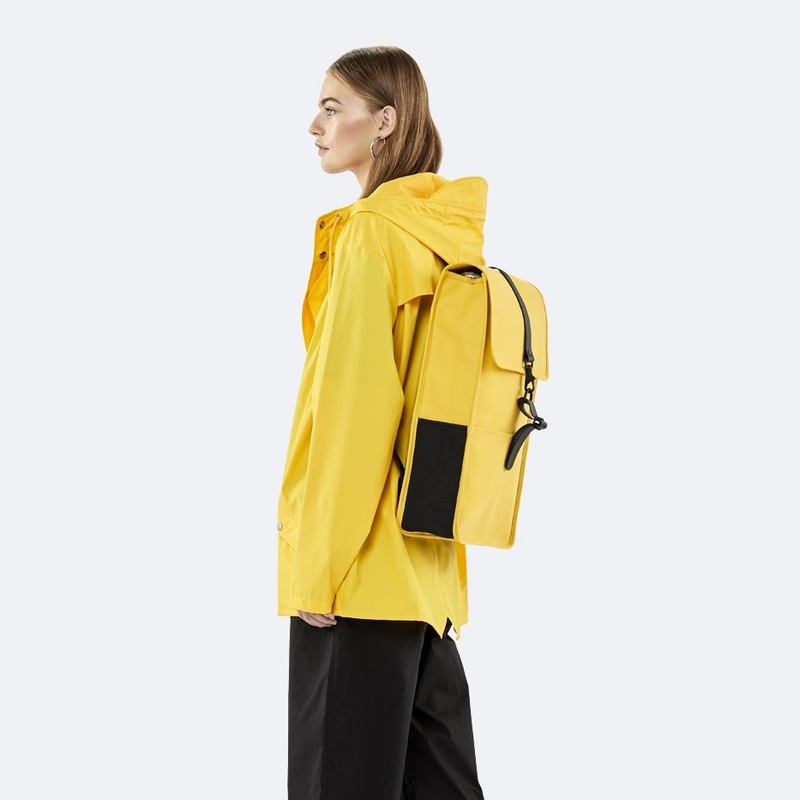 All seams are ultrasonically welded and all zips and fittings are optimised for wet weather use.